Join the Pros and take it 2 the Max. 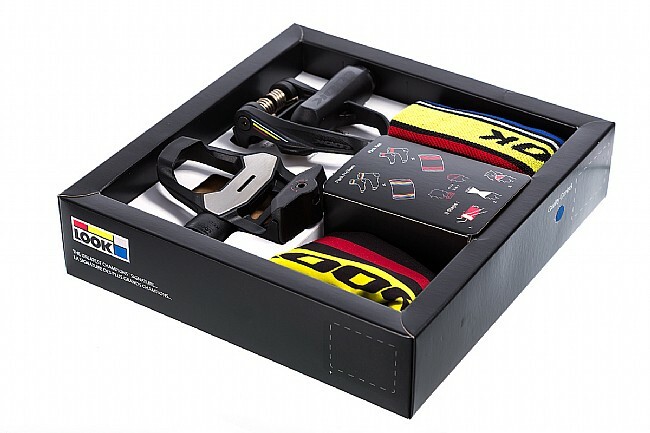 Give that special cyclist-someone in your life the gift of entry into Look's Pro Team. Of course, just by rocking the next generation of Look's popular Keo Sprint they won't ascend to the world's stage, but they'll be riding harder with less effort. Optimized for better power transfer, stability and the prevention of hot spots. In this updated version, Look has gone to great lengths to ensure durability. Look Keo 2 Max Pedals and cleats. Look Pro Team Sock – S/M. Look Pro Team Neck Cover. I had a MTB pedal, cleats and shoe for the Synapse that I never really switched out of after the first year.. Wanted to switch to the road bike pedals to get some speed for STP and picked this up when I saw the awesome deal on this to get both the cleats and the pedals , and oh boy what a difference. The shoes (Shimano RC5) with this setup increases my speed on avg by 1-2 mph. Nice, light, quick and easy to click in. I finally installed these today and was mostly pleased. They are light, easy to click in but seem just right for un-clipping. Have tried any aggressive climbing yet but feel confident i won't accidentally pop out. I am sad that i lost a sock in the first washing at the laundromat. Never worn, never found. Look pedals are the best! 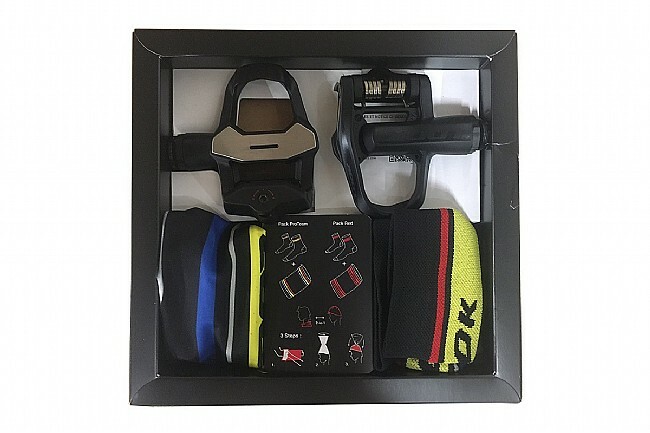 Excellent pedal and cleat kit. The Looks give a nice solid foundation. Good Pedals for a good price! Really like the pedals have stood up well to use so far . KeoLook system is so simple and durable. Switched from the Blades back to these Keo's. Classic design updated and hopefully with much less maintenance requirements. I got them on sale. Hard to beat for the price. Quality product with prompt delivery. I have not yet used the pedals, it's been too wet here in the PNW and I have not yet set up the cleats on a new pair of Sidi Genius 7s. I bought these for myself for Christmas and the buff and socks were a great touch! Price was awesome. if these pedals perform as well as the 17 year old PP396s that they replaced, then it was money well spent. Lighter then the 396s so less rotating weight. 396s still going strong, but it was time for new pedals.